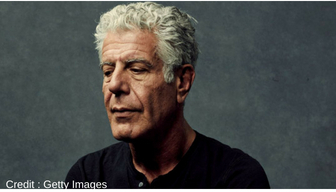 On the heels of a CDC report of rising suicides in the country, it was reported this morning that celebrity chef and television personality Anthony Bourdain was found dead this morning. Eric Ripert, a French chef and close friend of Bourdain’s found the renowned writer unresponsive in his French hotel room. CNN has confirmed his cause of death was suicide. The chef was in France working on an upcoming episode of his television series “Parts Unknown”. The New York native was a 1978 graduate of the Culinary Institute of America who went on to become a world famous professional chef, working in high end kitchens like the Supper Club, One Fifth Avenue and in 1998 he became the executive chef at Brasserie Les Halles in Manhattan, New York. His television career took off in 2005 when he began hosting the Travel Channels’ Anthony Bourdain: No Reservations and then The Layover. In 2013 he began hosting the show Parts Unknown on CNN, showcasing lesser-known eateries and exploring cultures and cuisine from all around the globe. The smash hit show received 5 Emmy Awards and 11 nominations for various categories, including cinematography. In 2014 he received a Peabody Award for his work on Parts Unknown, the Peabody Awards recognizes excellence and meritorious work by radio and television stations, networks, webcasters, producing organizations and individuals. In a rare glimpse where he addressed his depression, a 2016 episode of Parts Unknown while filming in Argentina, he meets with a therapist while taping the episode. In a scene, he is asked by the mental health professional what had brought him into the office, he responded candidly, saying. He continued, explaining honestly how he often feels alone. Money, fame, accomplishments are no match for the overpowering force of depression. As with Kate Spades’ death earlier this week, suicide and depression do not discriminate. The news of such prominent figures making such a permanent decision to end their lives stems from unimaginable and intolerable emotional pain and anguish that does not make it an easy choice, despite what uninformed and ignorant people may think. Suicide rates on the rise in the United States attests to the fact that our country is lacking in access to mental health services, and the stigma attached to speaking up about our inner struggles only quell the voices of people suffering from grief in silence.